Bright and early, Jasmine and I walked around Miraflores, the trendy, upscale neighborhood in which we are staying. The streets were deserted and hardly anything was open until well after 8 am, but it was honestly nice to see the city that way. Empty streets are like an intimate secret, something just beneath the surface of the hustle and bustle of traffic and shoppers, that every city has to share with those dedicated enough to get out of bed and go after it. Case in point, Parque de Kennedy, a small park near our hostel named in honor of John F. Kennedy. Lots of streets and parks in this city are named after world leaders with no obvious connection to Peru. It’s a nice touch in a truly global city that feels almost American or European in its stylishness. But this park, at 7 am, is home to a large herd of street cats… Easily scores, maybe into the hundreds, all sleeping peacefully in the grass before the city has started to buzz. A serene cat army… Now that’s a secret worth learning! We took a small group tour of Pachacamac afterward. 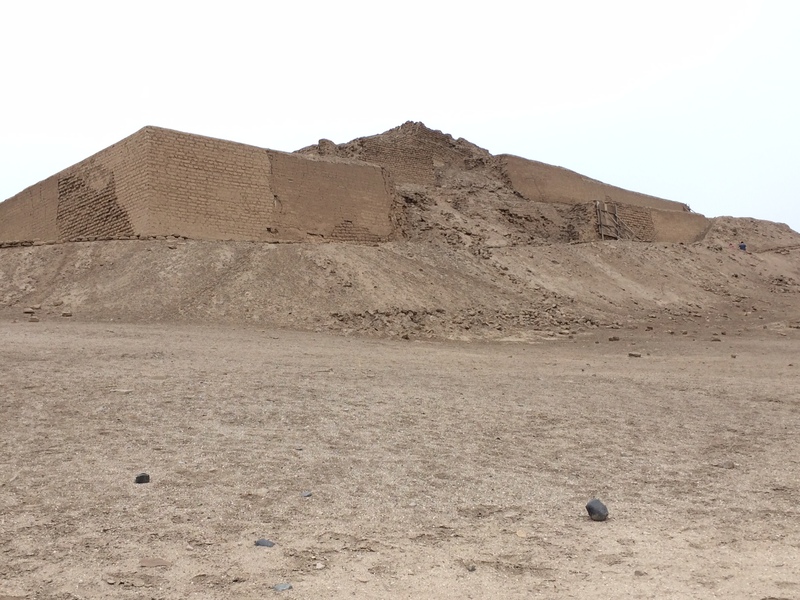 Pachacamac is an abandoned temple complex about an hour south of the city. It was continuously inhabited for around 1500 years by three or four different civilizations. It was ancient when the Inca conquered it. Then the Spanish arrived in Peru and sought to save the souls of the natives by imposing Catholicism. They caused the complex to be abandoned, leaving the virgins and priests who tended the idol of Pachacamac no choice but conversion (though many carried on their faith in secret, adopting only the outward signifiers of Christianity.) Today, the site is in a shocking state of decay. After returning to the Lima proper, we tried to get some lunch near Parque de Kennedy. In our hunger, we stumbled into a crummy little tourist place, thinking it would be quick and inoffensive. We waited nearly forty minutes for food that still never came before scooting on the bill. If there was ever going to be one. Instead, we ended up at a pleasant little cafe eating empanadas full of chicken and hardboiled egg for half the price. Delicious. 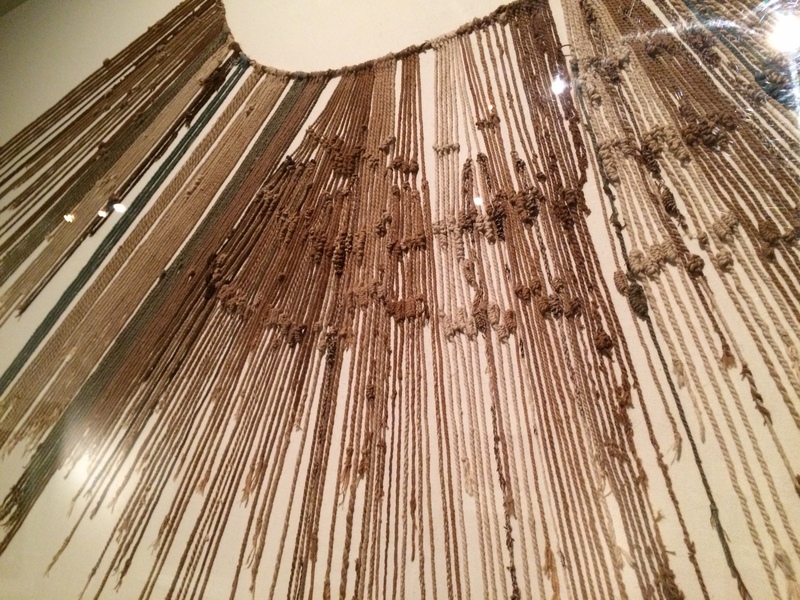 We spent the afternoon and evening at Museo Larco, a first rate collection of artifacts from a half dozen civilizations across two thousand years of Peruvian history, culminating in some great examples of Inca-Spanish colonial period syncretism. 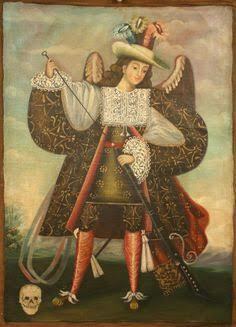 Case in point, the Harquebusier Angel, a unique Peruvian addition to the Christian pantheon, modelled on the original Spanish conquistadors. We enjoyed a lovely dinner in the museum’s onsite garden cafe… Sea bass cevice, fried calimari, and cheesy Peruvian style risotto. Best thing we’ve had in Peru, hands down, in a lantern lit garden setting.